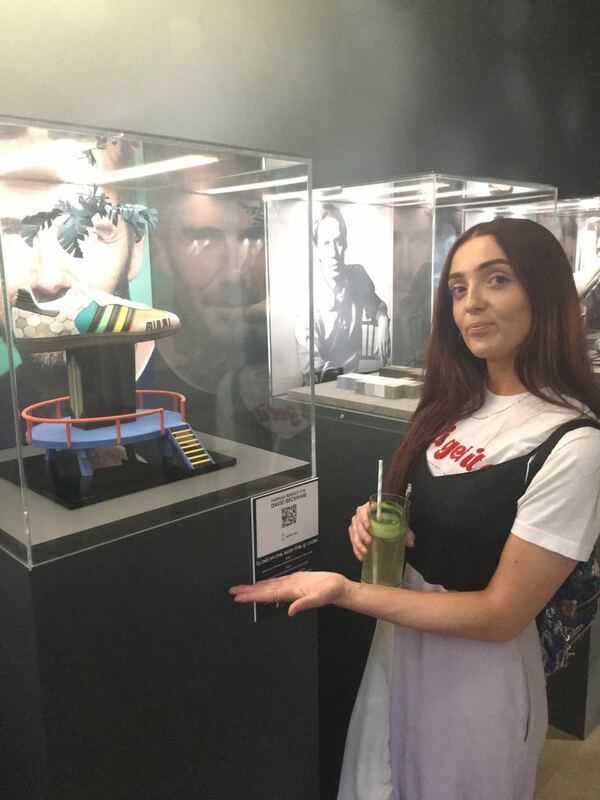 A fashion student has collaborated with David Beckham to design a unique Adidas Samba trainer and raise money for an LGBTQ+ youth homelessness charity. 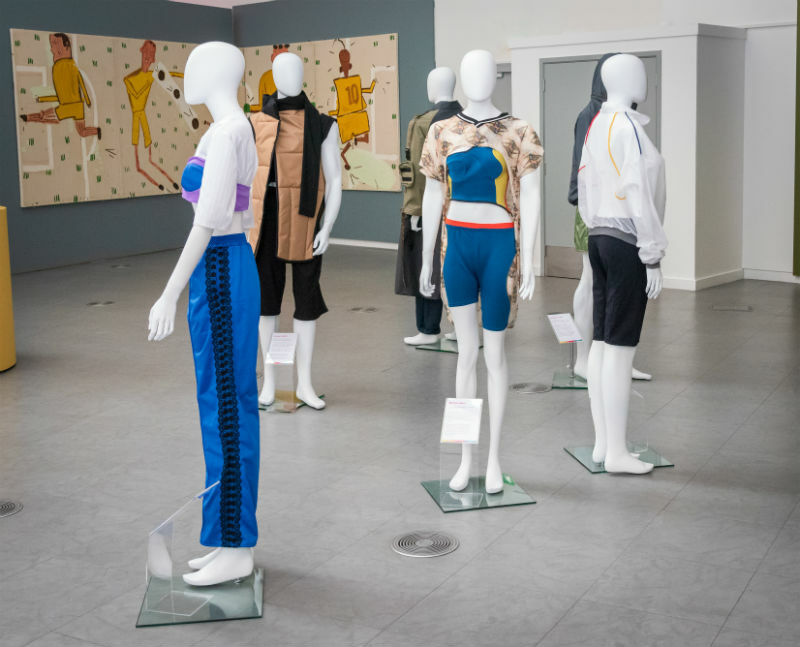 Hannah Bentley showcased her work to Beckham when he visited Manchester Fashion Institute at Manchester Metropolitan University in April to mark his appointment as the British Fashion Council’s Ambassadorial President. 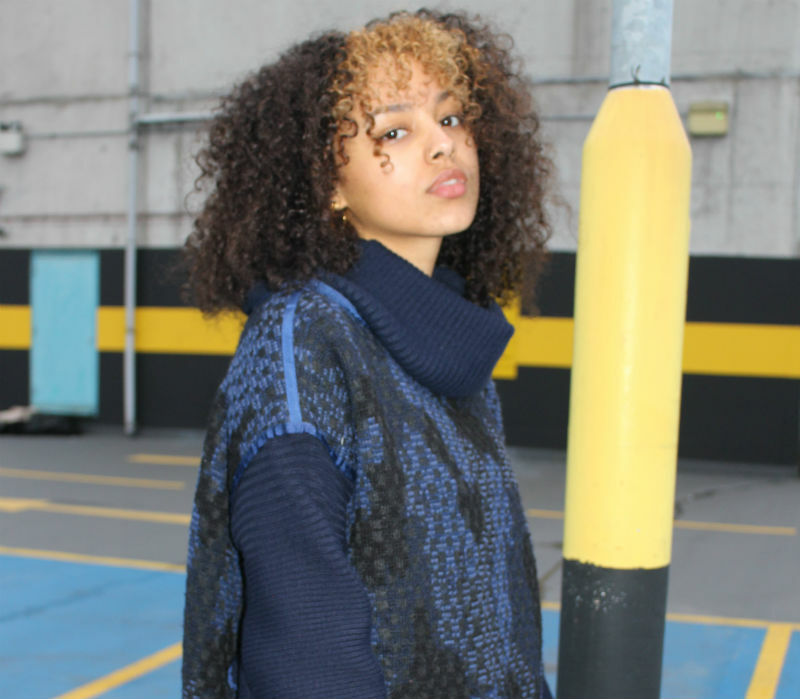 She was subsequently invited to work with the global fashion icon on the Adidas #prouder campaign to raise funds for the Albert Kennedy Trust. 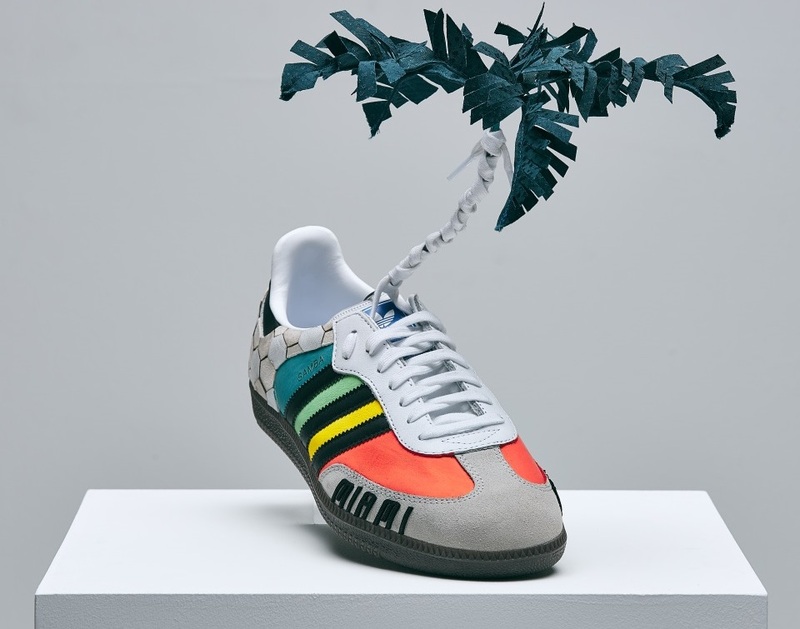 An exclusive auction and exhibition saw a rollcall of creators from art, fashion, music and sport re-imagine the iconic Adidas Samba through the theme of ‘Prouder’ - including Pharrell Williams, Naomi Campbell, Kate Moss and Marc Jacobs. 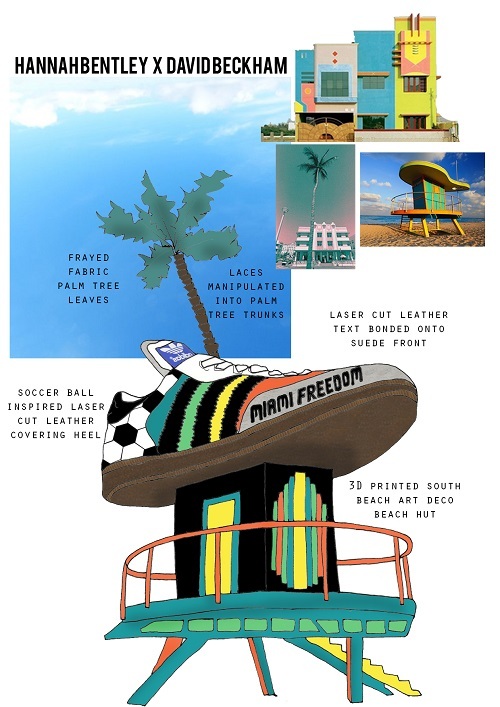 Hannah’s design, a homage to the city of Miami where Beckham now owns a football club, raised £806. 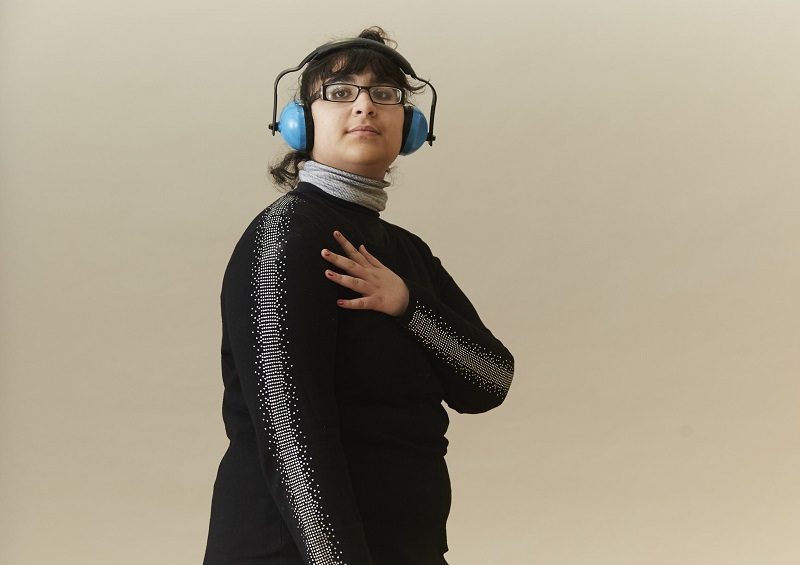 She created a 3D printed sculpture and a customised trainer, incorporating the innovative technological skills developed during her studies at Manchester Fashion Institute and in collaboration with the University’s Digital Innovation team, Fashion Design and Technology technicians and Manchester’s Hobs 3D studio. 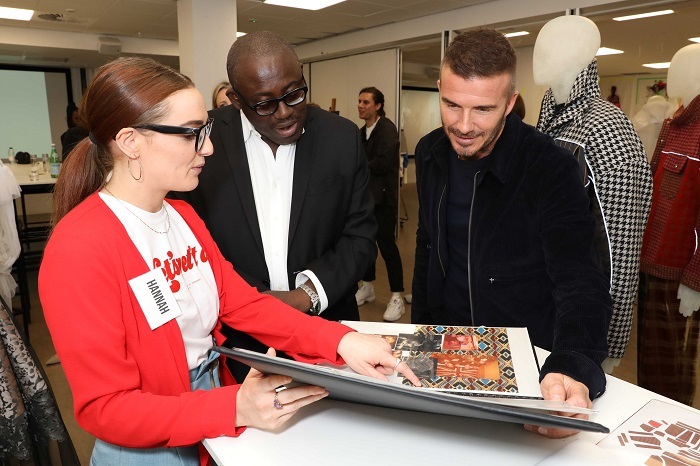 Hannah, who is graduating this summer in BA Fashion Design and Technology, said: “Collaborating with David Beckham was a once in a lifetime experience. I really appreciated that he wanted to involve young designers and he really gave me creative freedom with the project. The Adidas #prouder campaign was organised by DJ Fat Tony, with the customised Adidas Sambas shown at a free exhibition during London Pride Week before being auctioned on eBay. Hannah said: “I did some sketches based around the theme and the beach huts seemed the most classically Miami. “I wanted to include football references – hence the football texture on the heel and use of leather. I also wanted to try to utilise the whole shoe, so the laces were manipulated to resemble palm trees. 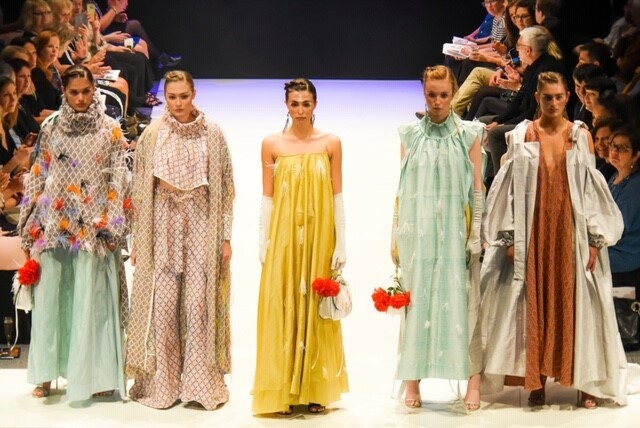 I incorporated innovative technology that reflected the skills I learned at Manchester Fashion Institute. John Earnshaw, Senior Lecturer in Fashion Design and Technology at Manchester Fashion Institute, Manchester Metropolitan University said: “‘It is fantastic that David Beckham has chosen a final year student from Manchester Fashion Institute to collaborate with on this project for such a great cause. Tim Sigsworth MBE, Chief Executive of The Albert Kennedy Trust, said: “As the national LGBT youth homelessness charity, we are always looking to raise vital funds and awareness in new ways to support our work to provide safe homes and support to LGBT people aged 16-25. The Albert Kennedy Trust is the UK’s LGBT youth homelessness charity. It provides safe homes, mentoring and support to young LGBTQ+ people who are homeless or at risk of homelessness following coming out to their parents, caregivers or communities.